La Dolce Vita has now returned to Caribbean cruising. 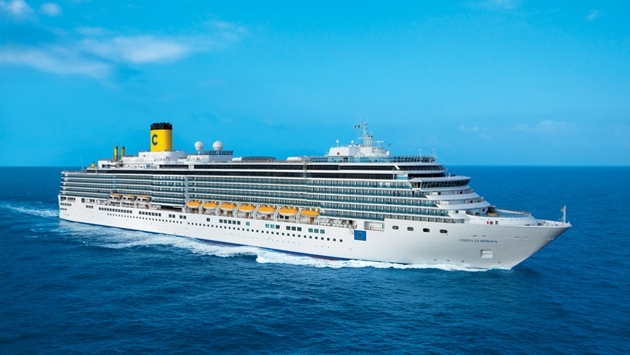 Costa Cruises in December positioned one of its newest and largest ships, Costa Luminosa, in Miami so North American guests can get a true sense of the unique cruising experience that the line offers. Costa Luminosa, with its classic yellow and blue stock emblazoned with a “C,” is certainly not a small ship, but it is smaller than many of the newer vessels in the market today. Its layout is simple and welcoming, but it features opulent furnishings, large displays of iridescent lights and smooth woods woven into its decor. In Europe, the ship usually has a very international mix of guests, though the percentage of North Americans onboard is expected to increase on its Caribbean sailings. The crew is expected to be able to communicate in English, though Italian, Spanish and other languages are spoken as well. Costa Luminosa aspires to provide entertainment and comfort for a wide range of guests. There are ample children's facilities to serve the family travelers; the standout Samsara Spa satisfies honeymooners and serenity seekers; and a wide variety of entertainment options occupy guests throughout the sailing. Here’s a rundown of what to expect from this very Italian ship. Accommodations: A full 68 percent of the ship's 1,130 cabins feature a private balcony, the highest percentage of private balconies in the Costa fleet. These include 662 balcony premium cabins measuring a comfortable 110 square feet. Each of these cabins features a queen-size bed, two-seater sofa and bathroom with shower. They also each have a large vanity desk, TV, telephone, hair-dryer, minibar and safe. Each balcony has two chairs and a small table. There are also 106 balcony suites, which have been upgraded with new soft and hard furnishings, most notably a bathtub. Guests desiring something extra should consider the more exclusive Panorama Suites. These measure 360 square feet each and have large wraparound balconies, twin sinks and a bathtub. Those guests interested in health and wellness can book one of the 52 Samsara staterooms, near the spa on Deck 8. These cabins offer private access to the spa and complimentary treatments. Also included is exclusive dining in the Samsara Restaurant, which features, low-calorie and intensely fresh food. Dining: Dining onboard Costa Luminosa is an artistic fusion of Italian gastronomic tradition with modern, international nuances in the ship’s four restaurants. The main Taurus Restaurant, located on Deck 2, serves breakfast, lunch and dinner in two seatings at 7 p.m. and 9:30 p.m. Alternative dining options include the a la carte Club Luminosa, located on Deck 10, and Samsara Restaurant mentioned above. A surcharge of $33.50 per person (excluding drinks) applies to both restaurants. For breakfast and lunch, the Andromeda self-service restaurant and La Pizzeria are good options. Adjoining outside seating also is available at the Dorado and Delphinus Lido. Breakfast at Andromeda hums with energy and the selection is continental. Lunch menus vary, with different international cuisines celebrated daily. La Pizzeria opens from lunchtime onward and is ideal for a quick bite. Special dietary needs can be accommodated upon request. Entertainment: Entertainment options include production shows at the 1,400-seat Phoenix Theater, a semicircular space spanning three levels. Elsewhere, the Elettra Grand Bar, one of 11 bars onboard, features an entertainment team hosting leisurely quiz contests in the afternoon and spirited dance contests at night. The Vega Casino features a large number of slot machines and gaming tables for guests. Next door to the casino is the Rigel Cigar Lounge, where guests can enjoy a smooth cigar and a cognac. Located next to Taurus Restaurant, Libra Bar is perfect for pre-dinner drinks, while Virgo Bar (directly above the Libra bar) is a more intimate space where live music varies between sophisticated classical piano and spicy Mariachi rhythms. Elsewhere, Altair Disco, spread across two levels, keeps the night owls happy until 3 a.m.
By day, guests can sample Sirius Cafe, a coffee and chocolate bar, or go shopping at the Galleria shops, which are stocked with perfumes, jewelry, souvenirs and more. The ship’s Bellatrix Library comes complete with a variety of board games and an Internet Cafe. There is also Wi-Fi connectivity throughout the ship available at a range of rates starting at $13.50 for one hour. Those guests seeming more thrills can explore the Mizar Cinema in 4D, the open-air roller skating track, a golf simulator, a putting green and a Grand Prix racing car simulator. Costa Luminosa also provides amply for its younger guests. The Squok Club and TeenZone are filled with a plethora of games and there is a dedicated outdoor children’s pool. Qualified staff members are on hand throughout the day to keep children safe and entertained while parents take time for themselves onboard or on shore excursions. Especially attractive for young gaming enthusiasts are the PlayStation Nights hosted poolside. Pools & Spa: The ship has three pools, including the main pool featuring a retractable glass roof, hot tubs and a bar. For those guests looking to be more active there’s an outdoor jogging track and multipurpose sports court for tennis, volleyball and soccer. The most powerful expression of La Dolce Vita, however, is embodied in the two-level Samsara Spa. At 11,480 square feet, the spa is exclusive and elegant, far surpassing many land spas. Decorated with sunset hues, it houses four saunas (including a Turkish Bath), an intimate thalassotherapy pool, a Japanese tearoom and a relaxation room. The facility offers a range of massages (such as Asian stone or deep tissue), wraps, steam clay baths and facials. The beauty salon also has a comprehensive menu of treatments. Treatment prices vary from $50 to $450. The adjacent fitness center is open 7 a.m. until 10 p.m. and two personal fitness trainers are on hand to assist guests; exercise classes are held daily. Itineraries: Costa Luminosa on Dec. 7 began sailing 10-day cruises in the Caribbean visiting six ports. The ship homeports in Miami and calls at Nassau or Freeport, Bahamas; Grand Turk, Turks & Caicos or Princess Cays; Ocho Rios, Jamaica; Grand Cayman, Cayman Islands; Roatan, Honduras; and Cozumel, Mexico. 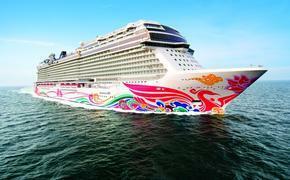 Its last round-trip cruise from Miami will depart March 17, and call at Belize City, Belize, instead of Roatan. On March 27 the ship will begin an 18-day repositioning sailing from Miami to Savona, Italy. Shore Excursions: Costa excursions focus on introducing guests to key historical locations and local culture. The line works closely with external tour operators to garner feedback and develop both a grading system and comprehensive shore excursion pack. Children up to the age of 14 get a discounted rate while adults can expect to from $43 to $100 per excursion. Fares & Commission: Fares start at $599 per person double occupancy and vary upward depending on departure date and stateroom selection. Costa pays a base commission of 10 percent to travel agents and offers increased levels of up to 17 percent based on annual production. For more information, call 800-GO-COSTA or visit www.costacruises.com.